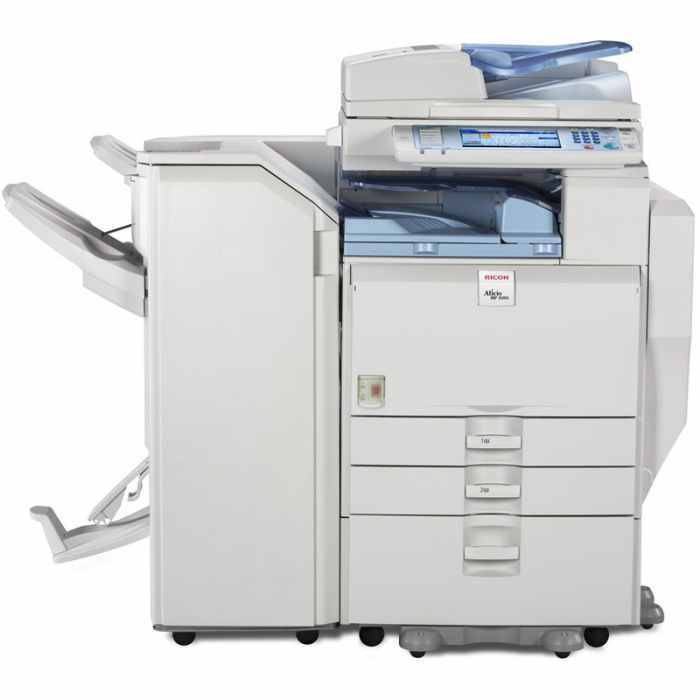 The base mode of the Ricoh Aficio MP 5000, also listed as the 5000B, can handle high-volume, monochrome copying and scanning needs with the option of adding color scanning, printing, and faxing functions. Model variations are available, however, that are already equipped those features. 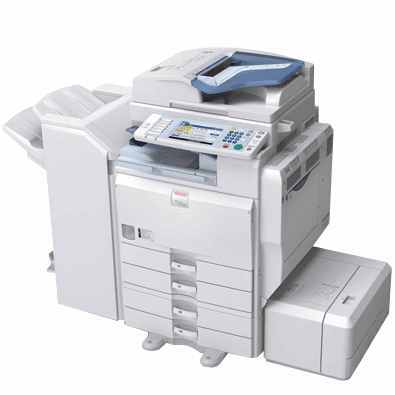 The 5000SP includes printing and color scanning, while the 5000SPF can also serve as a fax machine. The modular design of the base model and alternate model options allow users to customize the machine as needed for a specific office. Up to 50 copies per minute can be made, and as many as 999 duplicates can be produced per order. The MP 5000 will warm up in less than 15 seconds and the first page will begin printing in about 5 seconds. 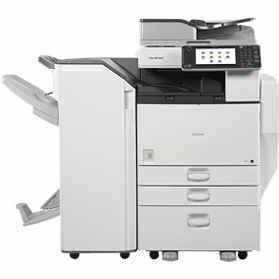 It is a monochrome laser device, meaning only black printer toner is used, creating a maximum resolution of 600x600 dpi, which is sufficient for most black-and-white documents. The standard memory is 256 MB, though this can be expanded up to 512 MB as needed, and a 40 GB hard drive is built in. 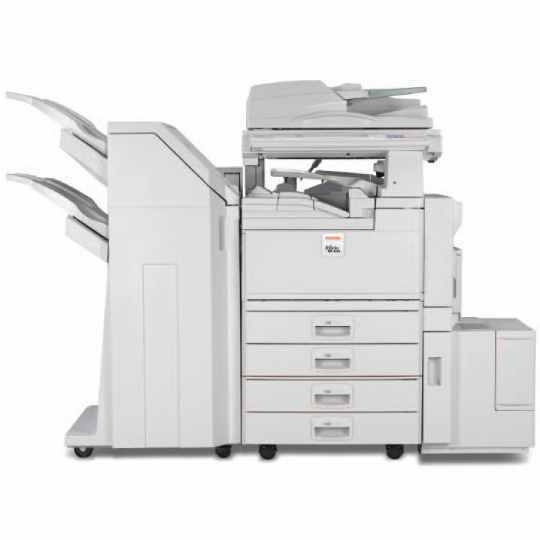 There is an automatic duplexer for dual-sided printing and an automatic document feeder that is positioned on top of the lid for the flatbed scanner. 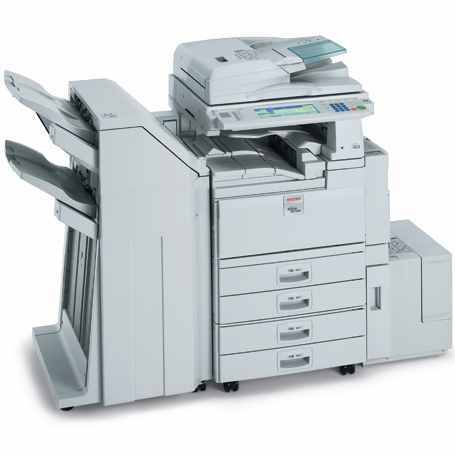 When it comes to heavy duty work in large office environments, the C5000 color laser printer is an excellent choice. 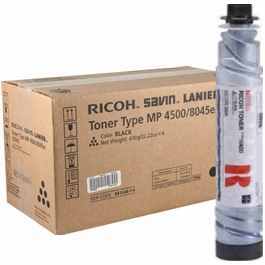 The savings on Aficio MP C5000 toner make it a great choice for limited budgets, where cost-effective operation is a necessity.